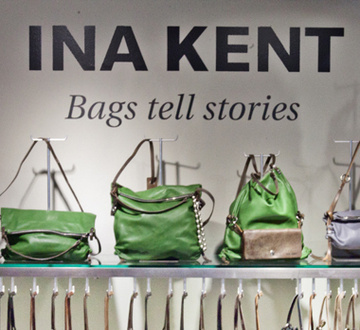 Spawned by the desire to create something new and different, the autodidact, Ina Kent, founded the bag label that bears her name in 2007. Past experience and mindful observation provide the basis for her actions. Exploring the ambivalence between aesthetics and functionality is her intention. Independent from the start and committed solely to the standards of the founder herself, the quality of each step is what counts for this label.